Which teacher do you remember most from school? I bet you’re thinking of a brilliant one, or a horrible one. Most people forget about the ones in the middle. I had lots of mediocre language teachers at school. They didn’t really care about what they were teaching, so neither did I. I remember nothing about their classes. I can remember numbers, colours, and a few random words, like calculator and guinea pig. Meerschweinchen and Taschenrechner in German, just in case you ever need to know. So why did those words stick, while all the other German I learned at school disappeared from my memory without a trace? Well, we practised that kind of vocabulary by playing word bingo and, like most kids, I loved playing games in class. Those words stuck with me because I had fun while I was learning them. Injecting fun into your language studies, far from being a distraction, is a powerful learning strategy. By doing things you enjoy, you can relax and engage more with the learning process. Studies show that a relaxed and happy mind helps us learn more effectively. Fun activities also boost learning because they motivate you to sit down and do the bloomin’ thing in the first place. And motivation is possibly the most important factor in language learning. If it’s not fun, it’s not worth doing. Bingo was fun, but it didn’t help me communicate in German: I can’t think of any situations where walking around saying calculator or guinea pig would come in handy in real life. Here’s where the “that actually work” bit comes in. Fun isn’t enough: it has to be useful too. That’s why I’ve put together a list of 32 ways to learn a language that are not only fun, but will also help you immerse yourself in the language as it’s used in the real world. These activities will develop your speaking, writing, reading and listening so you can achieve the ultimate goal: to communicate better in the language you’re learning. When I first met my Italian fiancé Matteo, he understood almost everything he heard in English and had a wide vocabulary, despite never having spoken it before. Where did he pick up those mad English skills? World of Warcraft, my friends. Then he got a girlfriend (me) and had to start leaving the house. But all those nights spent gaming in English until silly o’clock in the morning gave him a solid foundation for when he started using it in the real world. Here’s an example of Benny Lewis playing doom in a few different languages to give you an idea of how you can use computer games to boost your language skills. The time I discovered you could learn a language by chatting to native speakers at the pub was around the same time I got really into learning languages. Coincidence? Use the website conversation exchange to find a native speaker who lives near you and set up a language exchange at your local pub (or café if you prefer hot drinks). To make it work, you’ll need to lay down some ground rules. Olly from Iwillteachyoualanguage.com has written an excellent guide on making language exchanges work for you. Podcasts are a brilliant way to boost your listening skills at all levels: if you’re just starting out, you can listen to a podcast aimed at helping beginners pick up the basics (coffee break season 1 is great for this). Intermediate learners can listen to slow spoken content (like the news in slow French/Italian/German/Spanish series) and dialogues that are broken down and explained (like in coffee break season 2 onwards). Advanced learners can take their pick of podcasts aimed at native speakers. Podcasts are a really enjoyable way to learn a language while you’re on the move. 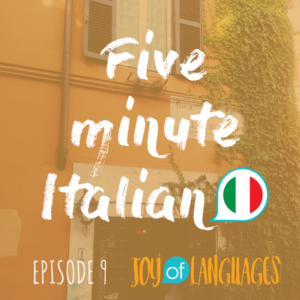 If you fancy learning a bit of Italian, join us for five minute Italian, where you can learn basic Italian in bite-sized pieces. No list of fun ways to learn a language would be complete without music. To find artists who sing in the language you’re learning, check out the playlists on spotify. Type the name of your chosen language + music (e.g. Spanish music) and you should get a whole bunch of playlists worth exploring. To make the most of it, try to listen actively: after you’ve heard the song a few times, dive into the lyrics and look up the meaning, then keep listening until the words start to sink in. If you’re going to learn the words, you might as well sing along. To develop your pronunciation skills, focus on getting your sounds as similar to the singers’ as possible. If you feel a little self conscious, wait until no one’s in the house, or have a go in the shower. On the other hand, if you’re really into singing, why not step it up and do some karaoke in the language you’re learning? For some free playlists, try typing karaoke + your chosen language into YouTube and see what comes up. Lyrics training is a fab website that turns foreign language songs into a fun game – my students love it! Tap into your inner child and learn some nursery rhymes in your chosen language. A word of caution – try and find ones with vocabulary that you’ll use in real life (think ten green bottles rather than ring of roses). Somewhere near you, there are probably groups of people learning the same language who meet up to practise and organise fun events. You can find groups like this on the meetup website. Hit the snooze button on your brain for a while and veg out in front of some trashy foreign language TV. Soap operas (especially telenovelas) are brilliant because the over-the-top acting makes their speech easier to understand than in films. Reality TV is another good genre because it helps you practise listening to spontaneous speech. 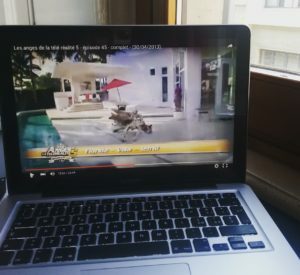 Sometimes I like to watch so-bad-it’s-good reality TV in foreign languages. You get to be a fly on the wall of real conversations so it’s a great way to practise listening to spontaneous speech. If you prefer higher quality telly, give Netflix a try. The online streaming service is gradually turning into a language learning goldmine as they continue to build up their selection of foreign language films and TV programmes. Use the audio and subtitles section to search for films and TV in the language you’re learning. Lots of programmes have subtitles in the original language, so you can read along at the same time or pause it and look up new vocabulary. I recommend avoiding English subtitles where possible as you can end up concentrating on the English and blocking out the foreign language. Change the language of Facebook/twitter/whatever other social network you kids hang around on these days. Following a keep fit video in your chosen language is a good way to stay in shape and learn a language at the same time. It’s doesn’t matter if you don’t understand everything because you can follow along by watching. And it’s great for learning body parts as you’ll hear the same ones repeated over and over again. Read online articles about photography, politics, beauty, sport, cats dressed up as sushi rolls or whatever it is that you normally enjoy reading. What if there are lots of words you don’t understand? Google to the rescue. The google translate extension allows you to turn webpages into an interactive dictionary so you can translate words by clicking on them. 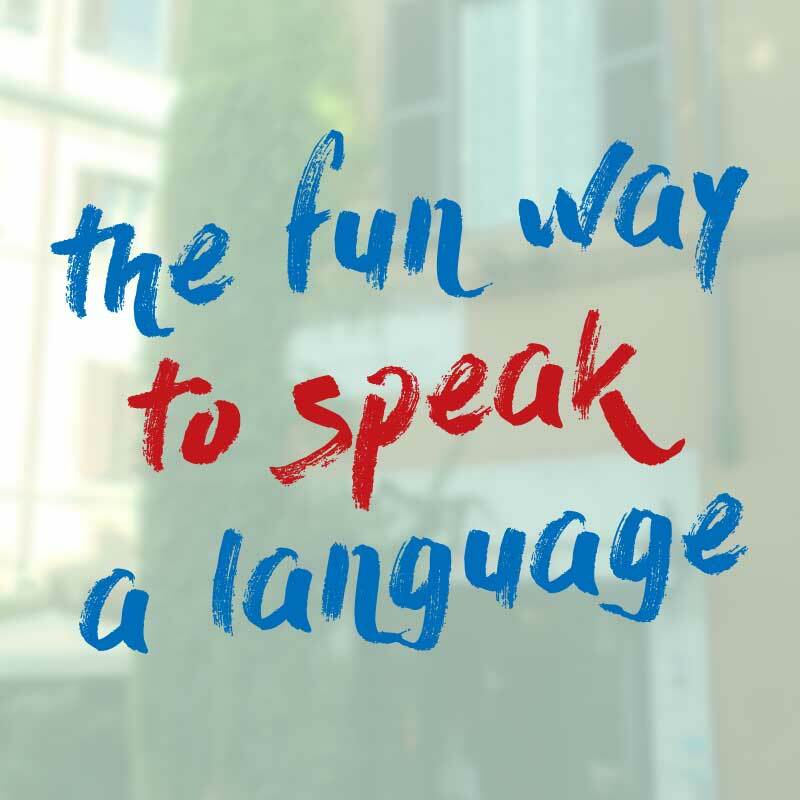 If you want to practise speaking, italki is the place to be. It’s a fab website that has 1000s of friendly native speakers who give conversation lessons to help nice people like you learn a language. They’re called community tutors and you can book private conversation lessons with them for as little as $5-10 dollars. Practising German by chatting to my conversation tutor on italki – my favourite place for conversation lessons. Why not team up with a friend and learn a language together? Research shows that working towards goals with other people helps to keep you motivated for longer. If you can’t find a running buddy amongst your nearest and dearest, you can join an online community of language learners, like the add1challenge. Try following a recipe in the language you’re learning. Cooking websites/blogs are especially handy as you can translate new words with by clicking on them if you have the google translate extension. Or you can use YouTube to see the finished product and hone your listening skills. If you’re anything like me, you probably enjoy faffing about on YouTube from time to time. If you’re going to be on there anyway, why not make it a little more productive by watching videos in the language you’re learning? If videos for native speakers are too difficult, try ones aimed at language learners. My absolute favourite YouTube channel for this is Easy Languages. On the Easy German YouTube channel, presenters head out onto the streets and interview people so you can hear real spoken German. What if instead of looking at pictures of other people’s cats/babies/lunch you could use your time spent on Facebook to learn a language? Lindsay from Lindsay does languages has all kinds of good stuff on how you can use social media for language learning. If you haven’t been living underwater for the last few years you may have already heard of this handy little app that turns learning grammar and vocabulary into a fun game. Recently they introduced a feature where you can practise your chatting skills with foreign language bots. Download it and fiddle with it on your commute. It’s free. Not the “Dear diary, why won’t my crush notice me?” kind (although you can if you like!) but a simple paragraph or two about your day. Not only will it improve your writing, but it’ll also help you learn how to talk about yourself and your life, which is great practise for conversations. Research shows that reading for pleasure is one of the best ways to learn foreign language vocabulary. If books written for native speakers are too tricky, try starting with graded readers (stories adapted for language learners) or comic books. 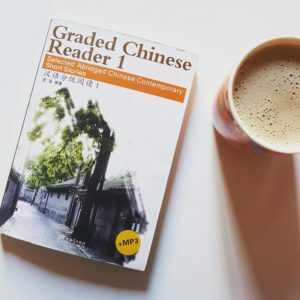 One of my graded readers in Chinese. They use simple words and phrases for learners so you can read without stopping to look up new words all the time. One of my friends used to set up language exchanges as a clever ruse to meet young ladies while practising his language skills. If you’re looking for love, why not do it the other way around and use a dating app like tinder to find native speakers of the language you’re learning? The hellotalk app connects you with native speakers so you can do language exchanges via text messages. It’s specifically designed for language learners so there are all kinds of cool features, like the ability to click on a word and translate it or hear the pronunciation. Tongue twisters are great for focusing on tricky pronunciation points. Choose one that has lots of examples of a sound you struggle with and practise it while you’re going about your daily business, like doing the dishes or waiting for your computer to load. Here’s a fun Spanish one to help you with the rolled R: Treinta y tres tramos de troncos trozaron tres tristes trozadores de troncos y triplicaron su trabajo, triplicando su trabajo de trozar troncos y troncos. A rainy afternoon in front of a foreign language disney film is a lovely way to boost your listening skills. Choose one where you already know the story, so it’s easier to follow along. It translates literally to “you can’t have a barrel full of wine and a drunk wife”. Lighten things up by learning some good dad jokes. Here are a few Spanish language jokes to get you started. Try writing a story with some of the words you’ve learned recently. Research shows that writing with words you’ve just learned helps you remember them better. You can get native speakers to correct your story for you over on the notebook section of italki or on lang8. 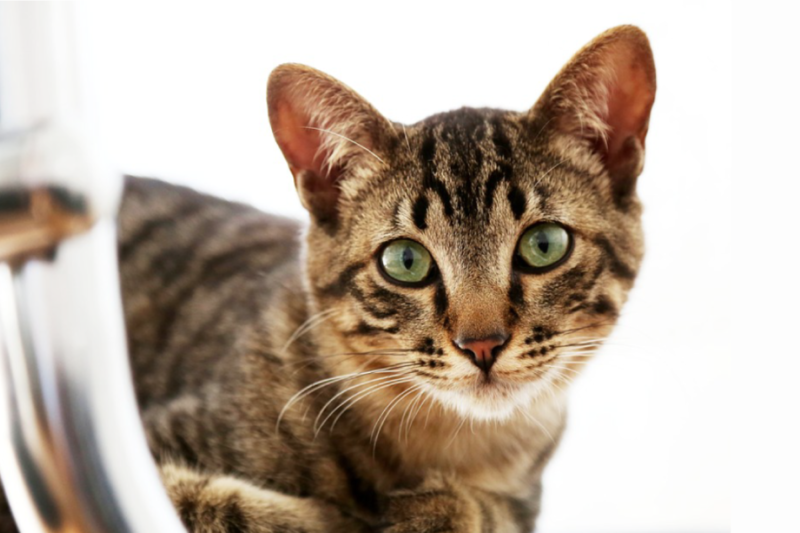 Or dog, or hamster, or fish… Chatting to your animal is a great way to boost your speaking skills as it gives you a safe environment to practise building sentences with the grammar and vocabulary you’ve been learning. If you don’t have an animal, try talking to yourself or an imaginary friend. Have a look at this post for more unconventional ways to practise speaking without a native speaker. Which fun way do you like the most? Do you have any more fun ways to add to the list? Let us know in the comments below!